I have a majesty palm, and all the leaves on 1 fraund (if thats the actual name) are turning yellow but the other "sections" look just fine. What should I do?? If the fronds begin drying out at the tips and it moves down the leaf, causing the leaves to brown, the palm is too dry. 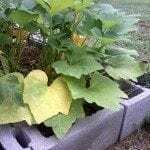 If the leaves turn yellow, the soil may be too wet.